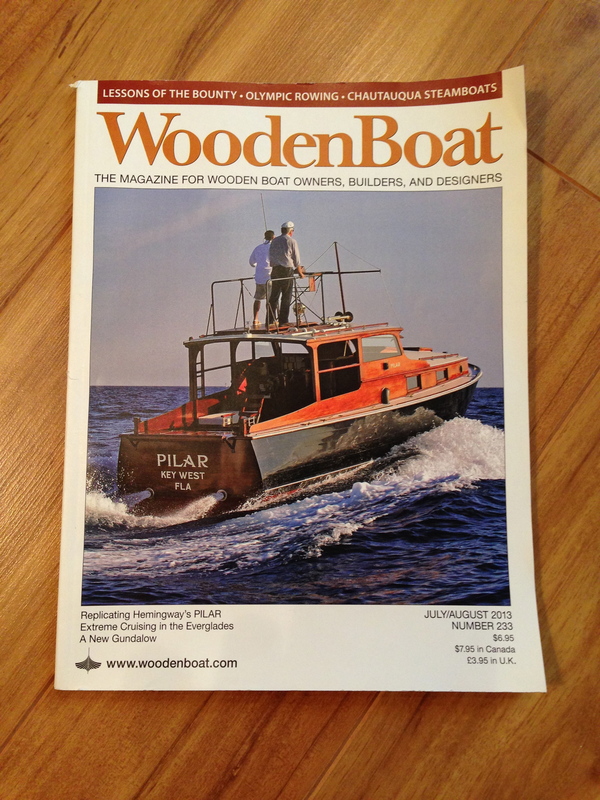 WoodenBoat magazine – Howard Boat Works, Inc.
Of my many periodical subscriptions, I especially look forward to receiving WoodenBoat magazine for a variety of reasons. It helps keep me connected to my youth growing up in wooden boats. It served as a great reference during my Westlawn studies. It’s always well written and illustrated, and like the boats they champion exudes a quality that comes from obsessing about one’s craft. I finally got around to reading the July/August 2013 issue and felt compelled to comment here on two articles, both of them outstanding. The first, “Lessons of the Bounty” (p. 62), provides lessons learned about the tragic loss of the vessel. What really grabbed me about the article was how tactfully and objectively it was written. As a career USMC aviator, reading mishap reports was a sobering and unpleasant yet instructive task. These reports reviewed in excruciating detail every aspect of an accident and tease out the causal factors one by one with the goal of reducing future mishaps. In the same spirit, G Anderson Chase in his article objectively describes what happened without casting blame around. He leaves the minute detail to the record books but does a great job reviewing the key elements of that ill-fated passage and it should be read by everyone who heads out to sea. The second piece, “The Boat That Beat Hitler”, (p. 74) by Daniel James Brown is a superbly written story about how nine young Americans won gold in 1936. I don’t want to give any of it away. Go read it!